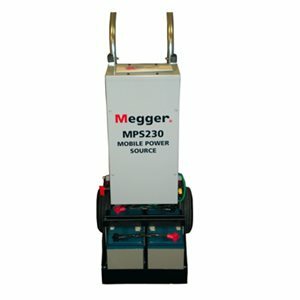 The MPS is a portable field-proven mobile power supply, for use where there is no suitable mains or generator supply available. The MPS is a practical alternative where a pure sine wave with a low THD is required. The PFL Cable Fault Location Systems require such a pure sine wave source.